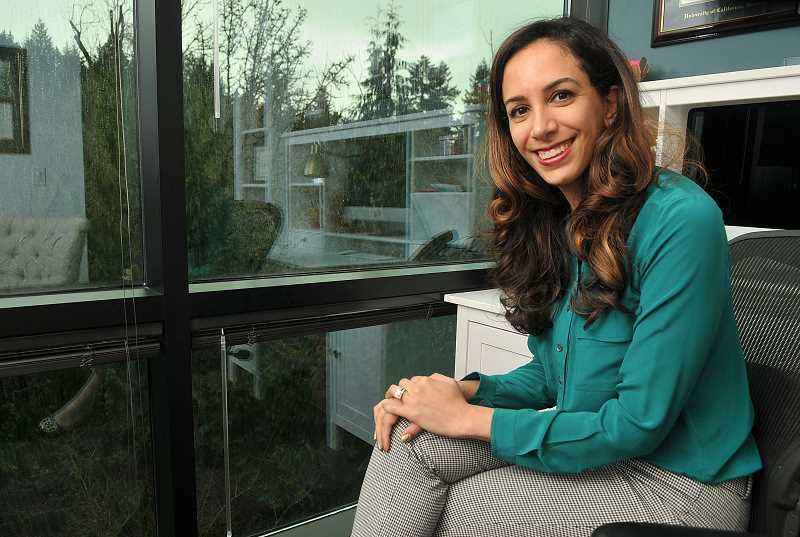 Licensed Clinical Psychologist Goal Auzeen Saedi has opened Glisten Counseling and Consulting, a private practice specializing in the treatment of tweens, teens and young adults in Lake Oswego. She says she has had a passion for psychology since she was 12. "I attended Sherwood High School and went to PSU (Portland State University) where I earned by B.A. in psychology," Saedi said. "My passion for helping others was ignited early on and this led me to Notre Dame, where I specialized in clinical psychology with an interest in working with student populations." She also earned her Ph.D. in clinical psychology at Notre Dame. Saedi gained extensive experience working with college students while interning at U.C. Berkeley and during her Fellowship at Stanford University. She continues that work with Oregon State and University of Oregon students, treating many of these clients in online sessions, which proved particularly handy during January's ice and snow storms. Saedi said youngsters may begin having problems as they enter middle and high school — times of much physical and emotional change. Unlike college-age clients, when she treats middle and high schoolers she has the advantage of seeing "the second side of the story," gained from interacting with the parents. She treats youngsters for a wide range of concerns: anxiety, depression, vocational or academic concerns, attention deficit hyperactivity disorder, relationship concerns, eating disorders, perfectionism, life transitions, multicultural and identity concerns as well as family of origin challenges. "I love being able to provide specialized, individual care that is accessible and relatable," she said. "I encourage clients to laugh in therapy while also building critical skills such as stress management, improving sleep, and getting more joy out of life." Saedi keeps her practice small, so she is available when clients need her. New clients can expect to see her within the week after initial contact. Saedi encourages all people to pay attention to how much they spend connected to phones, computers and other technology. "I encourage tech-free weekends," she said. "I encourage people to be more aware of their time and where it goes. Set boundaries and log off or turn off your devices." She said people used to pursue hobbies with leisure time, but many now spend that time focused on social media. "That can have a domino effect," she said. "We need time to declutter our minds and look at what is going on around us." She also encourages people to take time for themselves. "We are all delicate beings and need to remember to take care of ourselves," she said. "Too often we feel guilty or ashamed for asserting basic rights. But we should never feel bad about taking the time to exercise, eat well, meditate or pray, or do any of the things that make us feel better in life. We cannot help others when our own gas tank is on empty." To learn more about Glisten Counseling and Consulting, visit glistenconsulting.com or call 503-534-3613. Her offices are located at 4800 S.W. Meadows Road, Suite 300 in Lake Oswego.